Some games are riskier than others and it’s hard for teens to tell the difference. Remember playing “Truth or Dare” as a kid? Some of the dares were silly, some potentially embarrassing, but some were downright risky. Now our children are playing potentially dangerous games. How can you prevent your teen from taking unnecessary risks? To understand why kids would play risky games such as the Cinnamon Challenge or the Laughing Game, let’s step into the mindset of a teenager. Don’t let their adult-like appearances deceive you. Based on what we know about teenage brain development, teens are more likely to misinterpret or mislead social cues and emotions and to engage in risky behavior. Even though your teens may be taller than you, their deductive reasoning skills are not fully developed until around 25 years old. They have difficulty thinking through long term plans. Take a simple example of studying. If they stay up very late studying, they do not consider that this will cause impairment in cognition the next day and consequently they are forced to stay up even later to understand class material. Further, because teens also are impulsive, they will typically check their cell phones multiple times while studying, which further pushes off bedtime. Days later, when it comes to taking a test in class, their cumulative sleep deprivation leads to poor focus and poor memory retrieval. Applied to more dangerous situations and coupled with peer pressure, even a “good teen” may take unnecessary risks. Teens truly believe that they cannot die. Even if they know others who have died, they don’t think it can happen to them. So they may be more likely to run across a busy street, try getting high off of a friend’s Adderall, or drive distracted while checking social media on their phones. Teen peer pressure + immature teen brain = disaster potential. As parents, you do have some power to prevent disaster. You can teach your teens the tools you have acquired through the years to help them consider all potential consequences of their actions. Tell kids to pause first before playing any game. Think “What is the worst that can happen if I play the game, win or lose?” If the worst case scenario is severe injury or death, DON’T PLAY THE GAME. Remember that kids feel invincible. Teach directly by allowing kids to take small risks. Like we’ve said before, hold tight, but remember to let go. If your child chooses not to study for a test in school, then let them fail the test. However, make sure they study for the final exam. Teach indirectly through anecdotes, either from your own childhood or events you hear about. For example, your kids might not consider that the beach they visit with you every summer can hold danger. Tell them about the family I know who lost their teen to drowning while swimming too far and was caught in a riptide on an unguarded beach. Teach kids that you cannot always save them. You cannot magically can save them if they get hit by traffic on a dare. Know where your kid and your kid’s friends are developmentally and supervise accordingly. Volunteer to host the gatherings where a game may occur. Hint: Go down into the basement often with food-the kids will be happy to see you and you can be a better spy. Keep ’em busy so that they do not play risky games simply out of boredom. Unfortunately life is not all fun and games. 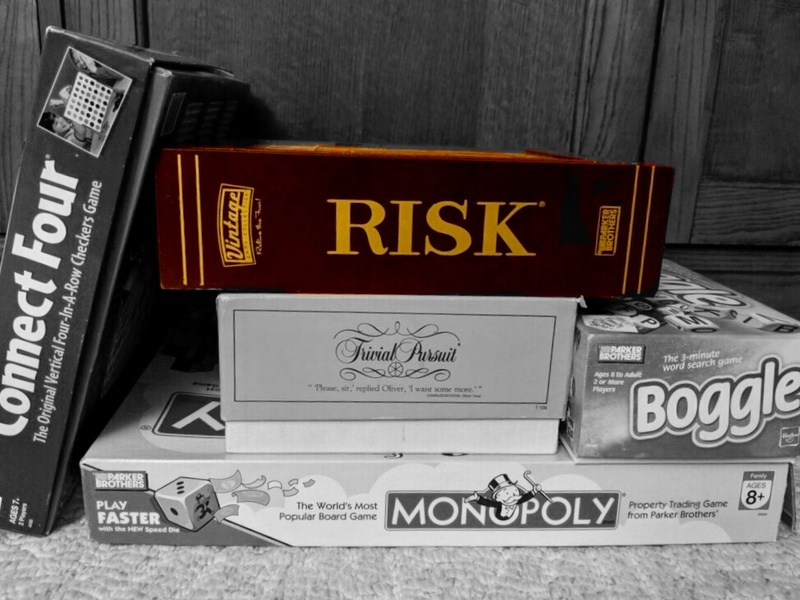 Remind your kids that playing Monopoly or video games is not the same as taking real life risks.